WWE 101: What You Need To Know Before You Start Watching Wrestling Again. Lately, some of my friends asking me about the current status of WWE. Some of them are interested to watch WWE again. WWE was a famous show in Indonesia a few years ago. I was in elementary school that time, and WWE was an everyday talk at school. Me and my friends acted up like WWE (WWF at the time) superstars, performing painful and dangerous moves. As I grew up, I started to leave WWE, and starting to forget it. Until a few years ago, it came back. There is a guy who used to retweet an Indonesian twitter account who talked about WWE a lot. I read it, and I think the WWE is changing. One of the reason I left the WWE at first is because most of the great charismatic stars like Stone Cold, the Rock, Big Show, Kane, Triple H, Shawn Michaels are either retiring or getting less vigorous with their performances. They are the prominent stars of the Atittude Era, which is arguably the best era of Wrestling Entertainment. Time changes, John Cena became face of the company with his weird spinner belt. I don’t like it. I don’t like John Cena. So I left WWE at the time. Even looking at the new stars in form of the Nexus, the Corre, I kinda hate it. I don’t really like invasion angle, like the one NWO used to do in WCW. The other reason is simply because they are starting to censor WWE and in Indonesia, WWE is going off air thanks to kids getting too pumped up with their wrestling moves and hurt each other. Now that there are new faces like the former SHIELD member; Seth Rollins, Dean Ambrose, Roman Reings, the charismatic Finn Balor, Indie King AJ Styles, the Samoan Submission Machine Samoa Joe, or the atrocious heel Kevin Owens. They also have incredible tag teams like Enzo and Cas, Gallows and Anderson, the New Day, The American Alpha, or the Usos. They also have active legends (not on part time basis) like the newly returned Hardy Boyz, Chris Jericho, Triple H (as authority). Oh, and don’t forget to check the Women’s Division not only to see beautiful wrestlers, but also an actually great ones like Sasha Banks, Bayley, Alexa Bliss, Charlotte Flair or Becky Lynch. Anyway, enough talking, here is my small guide if you want to enjoy the current WWE ! Many Indonesian know the WWE programs as “Smackdown” here. Well, Smackdown is a brand. It is a part of many programs that WWE have. Currently, WWE have 3 ongoing weekly programs. Raw is on Monday, Smackdown Live is on Tuesday, and NXT is on Wednesday (all in US time). Raw runs 3 hours, Smackdown Live 2 hours, and NXT 2 hours, so, you have plenty of wrestling show there in a week. 7 hours of wrestling. What are the differences of these programs ? Which one should I see ? RAW is the main staple of WWE. It is the main program. It is where you watch WWE’s regular wrestling matches and promos, and it runs for 3 hours per week. Currently, Kurt Angle (and Stephanie McMahon, but she is injured now) acts as its General Manager, he is the one who decide who is facing who each week. Smackdown Live is currently the second brand under WWE. Smackdown was made in mid 1990s as WWE’s way to counter WCW’s THUNDER in the Monday Night Wars. Around late 2000s, Smackdown and Raw have the same rooster, the only differences is RAW is being broadcasted live, while Smackdown is taped. This happened until 2016 when the new brand split is announced. So, currently RAW and Smackdown live have a different roster. Daniel Bryan and Shane McMahon is current General Manager of Smackdown. They have the same role as Kurt Angle and Stephanie McMahon in RAW. NXT is the developmental division for WWE. NXT is where the next WWE superstars trains. It is only shown on WWE Network. NXT used to be known as the FCW (Florida Championship Wrestling) a promotion held by WWE that consist of wrestlers that is training to be the next WWE superstars. Around 2012, the concept changes, so that people can see how the future superstar developed. Now, thanks to Triple H, NXT consists of not only the future of WWE, but also the talents from indie promotions which include those from Ring of Honor, TNA, Lucha Underground, and even New Japan Pro Wrestling. I personally like the NXT better than RAW or Smackdown Live if I want to watch it on weekly basic, because it involves less drama, and more of good wrestling. Okay, That’s Interesting, Where Can I Watch Those Shows ? WWE Network, but it is paid. You can see it on MNC Sports if you have indovision at home. You can also see the highlights from each show in WWE Official Youtube Channel. If you want to see the full version, well, you know…. Internet ? Oh yeah, What Is PPV ? PPVs are special shows promoted by WWE. It is called PPV (Pay-Per-View) since in the countries showing these shows regularly, you have to pay more for each PPV. PPV is once or twice in every month. Currently the PPVs are divided into RAW’s PPV, Smackdown’s PPV or simply the WWE PPV which consist of both brands plus the NXT. They usually have special matches like the Royal Rumble, TLC (Table, Ladder, and Chair) or the cage match or Hell in a Cell, and served as a culmination of a feud happening in the regular RAW or Smackdown Live. While NXT has its own special show called the NXT Takeover or NXT Arrival. It is worth noted that the grandest of them all is Wrestlemania, which always been the most extravagant moment of the WWE. While in Survivor Series, it is a tradition that the roster of RAW will face the roster of Smackdown Live in a team battle. How About My Favorite Superstars Back Then, Are They Still Wrestling ? Some of them yes, some of them no. But I can give some information about them. Undertaker. The phenom has just announced his retirement yesterday after Wrestlemania 33. Kane. He is now unmasked (sometimes) and is a more authoritative figure. He is currently injured, but rumors has it that he is going to run as a mayor in Knox County. I think he is going to retire soon. The Rock. He is now one of the most popular actor in Holywood. He shows up in PPVs sometimes, when he is not busy with his moviestar career. Triple H. The current authority figure of WWE. Almost like Vince McMahon in the late 90s. Wrestling part time against some of the younger wrestler. Still mainevent Wrestlemania in the last few series. Chris Jericho. Still active full time on RAW brand, and still kicking asses. John Cena. Still active full time on Smackdwon Live brand. Still champs sometimes. Nevertheless, I still hate him. Stone Cold Steve Austin. Sometimes he host a podcast with current active wrestle. Also sometimes, shows up in a PPV event. Already retired as a full time wrestler. Shawn Michaels. Sometimes shows up in a PPV event. The last time was when he assisted Triple H in defeating Sting at Wrestlemania 31. Sting. Retired, and inducted to WWE Hall of Fame. Have his first and last moment as a part of WWE in a feud against Triple H and Seth Rollins. Hulk Hogan. Currently on a bad term with WWE. Do not expect him to show up sometimes. Kurt Angle. Is now the General Manager of RAW brand. Edge. Retired at only 38 years old thanks to brain injury. He is okay now, and still hosting a comedic show with his former tag team partner, Christian. Hardy Boyz. After leaving the WWE, Matt and Jeff became a big TNA Stars. Especially Jeff with his enigmatic persona. While in 2016, Matt Hardy developed a unique gimmick called “the Broken Matt Hardy,” which is weird, but successful. Thanks to that success, the Hardy Boyz is now back in WWE, and is the current RAW Tag Team Champions. Dudley Boyz. Was quite dominating in the RAW tag team divison, although never really capture the title. 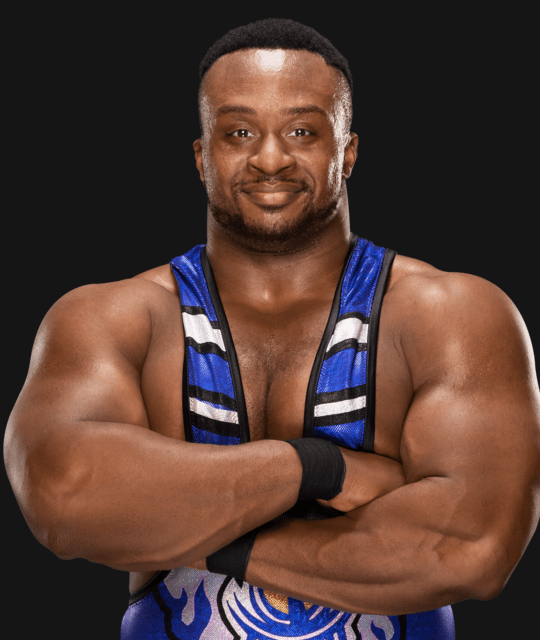 The contract only run for 1 year, and now, D-Von has been retired in Insane Championship Wrestling, while Bubba Ray is performing as Bully Ray in Ring of Honor. Chris Benoit. Has passed away in a tragic manner. Hanging himself after killing his wife and son. WWE is now never mention anything about him anymore, due to the condition before his death. RIP, Chris. Eddie Guerrero. Has passed away at 38 years old due to heart condition. Chyna. Has just passed away in 2016 at 46 years old due to accidental overdose. Wow. That’s like a history lesson. Okay, who is the current top wrestlers in WWE now ? Whoa, that’s a lot of information ! Okay now, for the last one, can you recommend me some of the best current wrestlers ? Seth Rollins (RAW): The Kingslayer. An acrobat master who is enjoyable to watch. Have some feud in the past with legends like Triple H and Sting. His wrestling style is a little bit reckless, but he is still fun to watch. His promotion is perfect as both heel or an antihero face. One of the former Shield member. Sami Zayn (RAW): Ska loving nice guy. He is known as El Generico in his indie time. It is fun to see his fiery personality and fighting style. Have an eternal rivalry with Kevin Owens. Kevin Owens (RAW): The true despicable heel. He is an evil, obnoxious person that everybody loves. He is the master of heel art. He knows how to be annoying, and it completes his powerful wrestling style. Samoa Joe (RAW): An indie veteran. A big, menacing Samoan who can cut out your breath anytime. A master submission, with powerful finishers called the Muscle Buster and Coquina Clutch. The New Day (RAW): A unique tag team under the freebird rule which consist of three very funny guys; Big E, Xavier Woods, and Koffi Kingston. 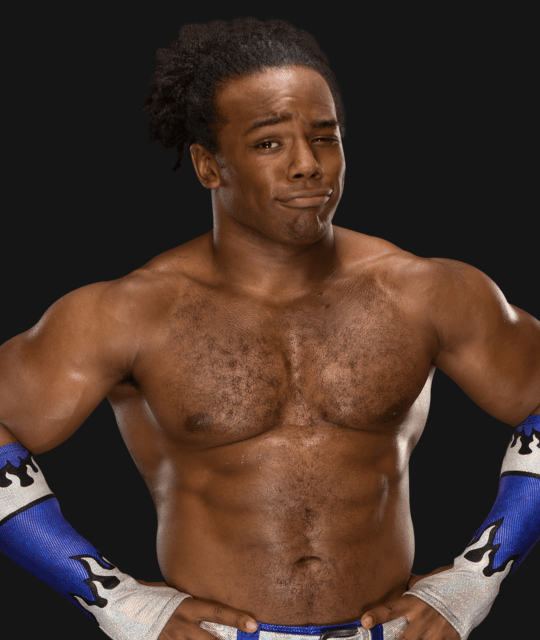 Their fighting style might not be the best, but their promos are funny as f. Thanks to Xavier Woods’ geekiness, they bring things like the Little Pony to the wrestling scene. Oh, and they are WWE’s longest reigning Tag Team Champion ever. 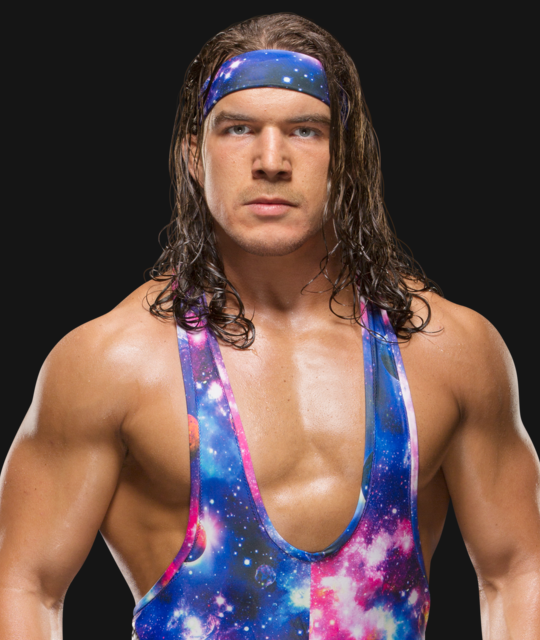 The American Alpha (Smackdown Live): The former Smackdown Tag Team champion consist of two former amateur wrestler Chad Gable and Jason Jordan. Their style is a traditional wrestling style, combined with great athleticism. Always fun to watch. 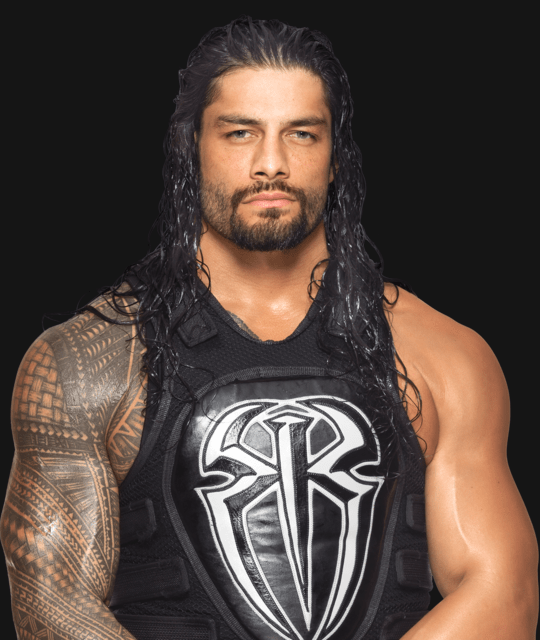 Roman Reigns (RAW): The Big Dog. He is Vince McMahon’s favorite boy. Big, muscular with a handsome face. I don’t really enjoy his big and heavy style, his promos are bad, the crowd hates him, but he is always being pushed. He is Undertaker’s last opponent before the Deadman retired. Another one of the Shield member. Cesaro (Raw): The Swiss Superman. One of my most favorite current wrestler. He is one of the strongest man in both roster. He once TOSSED THE BIGSHOW from the top rope in Wrestlemania 30. That’s one insane strength. AJ Styles (Smackdown Live): The King of Indie. AJ Styles is a great technician, meaning he is a wrestler with many moves. Some of his move are dangerous and hard to execute. Became a legend in TNA and New Japan Pro Wrestling. Jim Ross once said that not signing AJ Styles during his youth is one of WWE’s biggest mistake. Sasha Banks (RAW): The Boss. One of the best women wrestler in the world. Sasha Banks is armed with great moves and athleticism. Her promo as “the Boss” is not to be taken lightly. Alexa Bliss (Smackdown Live): She is one of the most beautiful wrestler I’ve ever seen and she matched it with her talent. Her finisher the Twisted Bliss is a candy to the eye (seriously, it is a rounding moonsault). Dean Ambrose (Smackdown Live): Welcome to Ambrose Assylum. Is what he said to anyone who oppose him. The Lunatic Fringe who will devour anyone if it is necessary for him. His brutal and insane fighting style is what made him lunatic. He is also the last former member of the Shield. 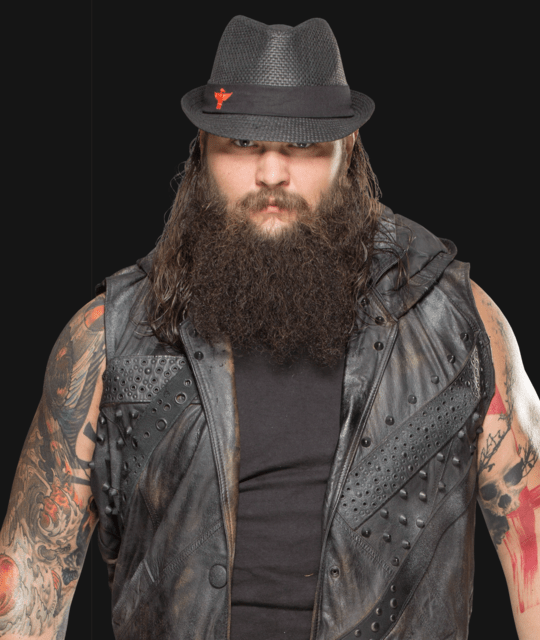 Bray Wyatt (Smackdown Live): The Buzzards. He is suppose to be the next Undertaker. But it is too hard for anyone to replace such legend. Bray is a cultmaster of a woods people. His style of fighting includes scare tactics and scary movement like the spider walk. Finn Balor (RAW): The Demon. Finn have two different personalities. The first one is the wrestler with rockstar/gangster style with leather jacket. The other is the Demon. The second one is the most interesting. With his body painted black-red-white, and claiming that he owns the power of the great Irish demon; Balor. Shinsuke Nakamura (NXT): One of Japan’s biggest talent. The King of Strong Style. His unique style helps him to cement his name as one of the top NXT wrestler. He is a former NXT champion. His promo is fun to watch as he mocks everyone sarcasticly, while his greatest quality is in his wrestling, which consist of many punches and kicks. All of these superstars have their ups and downs. No matter how good they are, if the creative booked them badly, they will always look bad. Anyway, that shouldn’t discourage you from restarting to watch WWE. If you have any questions, you can always contact me on my twitter, or any social media available. I’ll be glad to answer, and of course, I am always open for discussion about professional wrestling !